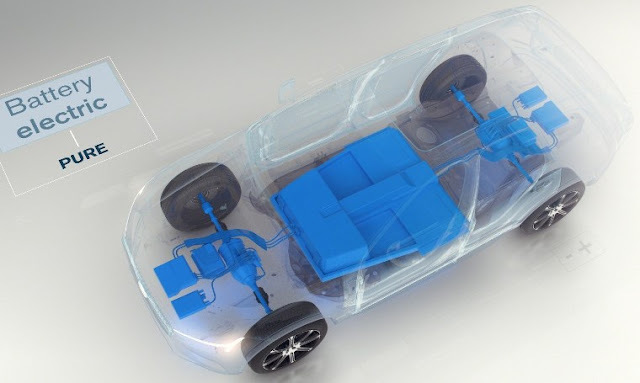 Every Volvo that launches from 2019 will have an electric motor in a choice of fully electric cars, plug in hybrid cars and mild hybrid cars. Volvo will introduce five fully electric cars between 2019 and 2021, three of which will be Volvo models and two of which will be high performance electrified cars from Polestar, Volvo Cars’ performance car arm. Full details of these models will be announced at a later date. Volvo Cars is focused on reducing the carbon emissions of both its products as well as its operations and aims to have climate neutral manufacturing operations by 2025. General Motors (Chevrolet, Buick, Cadillac, GMC) June total sales were 243,155 vehicles, down 4.7 percent from the same period last year. Year-to-date sales of 1,414,446, a 1.7 decreasefro a year ago. Ford Motor Company reported June 2017 sales of 227,979, a 5.1 percent drop from a year ago. Year-to-date sales of 1,301,102 is a 3.8 percent drop. Toyota Motor North America reported June 2017 sales of 202,376, up 2.1 percent. For the first half of the year, TMNA reported sales of 1,155,165, down 3.6 percent versus the same period in 2016. FCA US (Chrysler, Dodge, Ram, Jeep, Fiat, Alfa Romeo) reported sales of 187,348, a 7 percent decrease compared with sales in June 2016. Nissan Group announced total U.S. sales for June 2017 of 143,328, an increase of 2 percent over the prior year and a June record. Year-to-date sales are 819,688, up a 2.7 gain over 2016. American Honda reported total June sales of 139,793 Honda and Acura vehicles, an increase of 0.8 percent over June 2016. Year-to-date sales of 791,886, a 0.1 percent drop from 2016. 346,360, a 7.4 percent drop from 2016. Kia Motors America announced June sales of 56,143, down 10.3 percent from 2016. Year-to-date sales of 295,736 is a 9.9 percent decline from a year ago. Volkswagen of America reported sales of 27,377 in June 2017, a 15 percent increase over June 2016. Year-to-date sales of 161,238 is an increase of 8.2 percent. Separately, Audi of America reported a June sales increase of 5.3 percent to 19,416 vehicles. Year-to-date Audi sales of 102,971, is a 6.2 percent increase over 2016. Subaru of America reported 52,057 vehicle sales for June 2017, an 11.7 percent increase over June 2016, and the best June in the history of the company. Subaru also reported year-to-date sales of 304,810 vehicles, a 9.1 percent gain over the same period in 2016. Mercedes-Benz USA reported best-ever June sales of 28,994, an increase of 1.8 percent, closing out the second-quarter at 161,960 year-to-date. Mercedes-Benz Vans also reported best-ever June sales with 3,108 and smart reported 226, bringing the MBUSA grand total to 32,328 vehicles for the month, up 1.1 percent from last year. Mazda North American Operations reported June U.S. sales of 22,342 vehicles, a decrease of 14.7 percent versus June of last year. Year-to-date sales through June are down 2.6 percent versus last year, with 141,624 vehicles sold. Sales of BMW brand vehicles increased 0.4 percent in June for a total of 28,962 compared to June 2016. Year-to-date, the BMW brand is down 2.8 percent in the U.S. on sales of 149,086 vehicles compared to the first six months of 2016. Mitsubishi Motors North America reported June 2017 sales of 7,625, down 5 percent over June 2016. Total 2017 calendar-year sales are up 5.1 percent compared to last year at this time with 54,576 sold. Volvo Car USA reported U.S. sales of 7,303 vehicles for the month of June, down 15 percent from last June. Year-to-date sales of 34,105 is a 7 percent drop from 2016. Porsche Cars North America announced June 2017 sales of 4,516 vehicles, a 0.8 percent increase over June 2016. Year-to-date, deliveries are up 3.2 percent compared to 2016 with 27,568 vehicle sales.